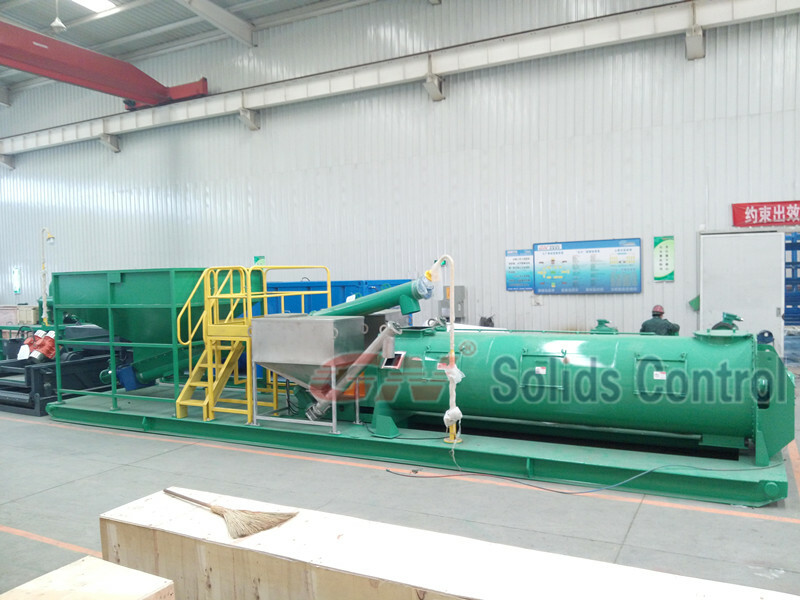 GN solids control focuses on the design, development and manufacturing of drilling mud solids control equipment and drilling waste disposal equipment. GN solid control is the leading brand of drilling mud solids control equipment at home and abroad. The first to establish a branch in the United States and Russia. The main manufacturing product modules are: solid control equipment and accessories manufacturing modules, drilling waste treatment equipment modules, complete mud circulation system modules, and pump delivery equipment modules. According to the amount of drilling waste generated during the drilling process, special construction process conditions such as running slurry and cementing are taken into account. Guanneng Waste Treatment Equipment has a designed processing capacity of 20 to 60 cubic meters per hour (including rock solidification, waste mud and waste water treatment) and 24-hour operation. Crown energy cuttings curing system: automatic continuous curing can be achieved. Processing capacity 15 cubic meters / hour. Feature 1: It can be automatically continued, the processing capacity is adjustable, and the amount of added materials can be adjusted. Save labor costs and have high efficiency. Features II: GN armored curing system, when transported, after a simple disassembly, the solidified mud agitator part and drill cuttings storage funnel part can be transported together into a 40-foot high cabinet to meet international shipping requirements. And can meet the inland transportation size requirements of various countries. Features 3: Curing mixer inlet, equipped with two 1.5-inch inlet, you can add water from this port, or add acid and alkali liquid curing material.